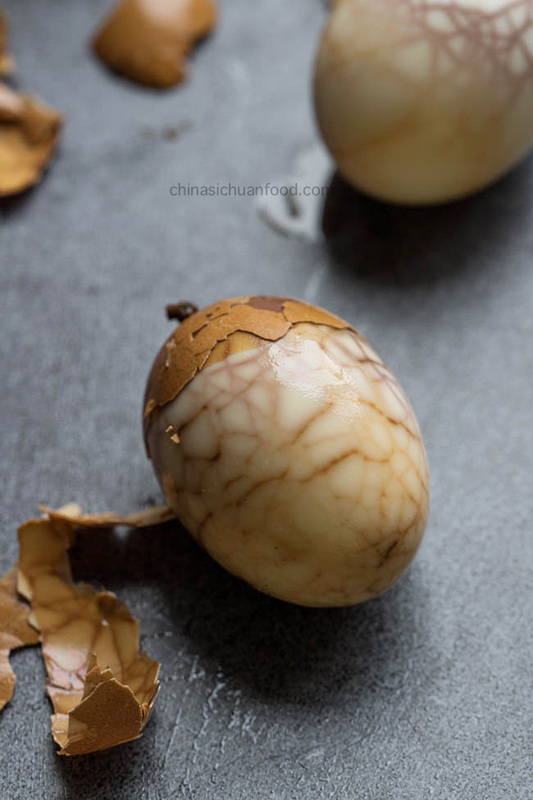 Chinese Tea Egg is a famous Chinese street food which is also known as marbled egg. 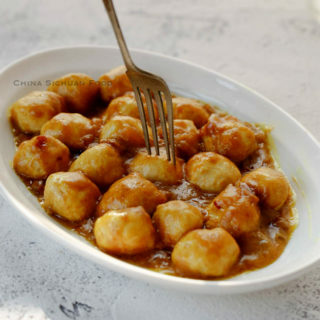 Eggs are braised with spices and Chinese teas thus have a unique and strong tea flavor. 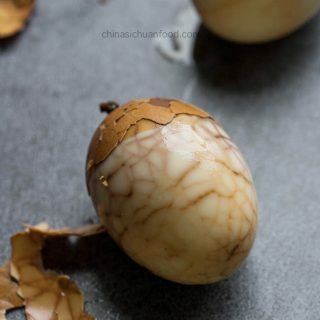 Traditional tea eggs are usually heating on a stove and has been boiled for quite a long time, possibly server hours. 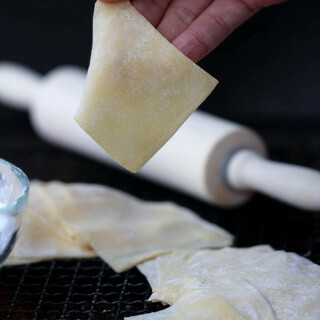 As a result, the egg white becomes quite rubber like and the yolk becomes quite hard and dry. Most importantly, those tea eggs need to be boiled a long, not economic for home cooking. So a newly invented home cooking friendly way is introduced here. I call it cold soaking method. It has the following advantage comparing with the previous way. 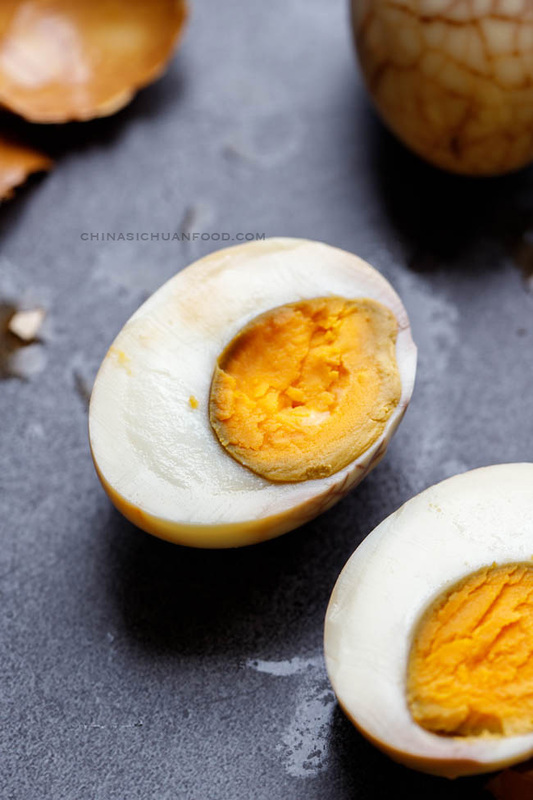 With this method, you can not only make traditional hard boiled tea eggs but also soft boiled eggs. 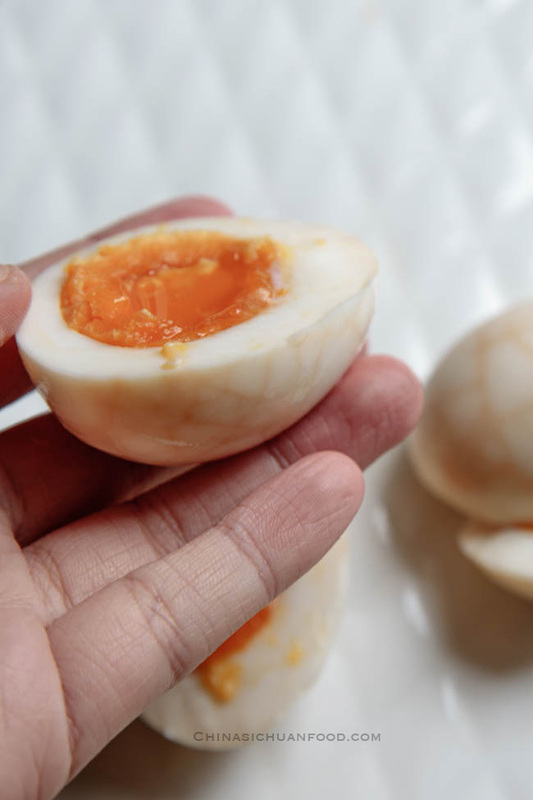 Even with hard boiled eggs, we are free of hard to swallow dried out yolks. It makes soft boiled marbled eggs possible. More importantly, it is more energy economic since the long time simmering is skipped. You can also serve the eggs warm by re-heating it slightly after soaked. 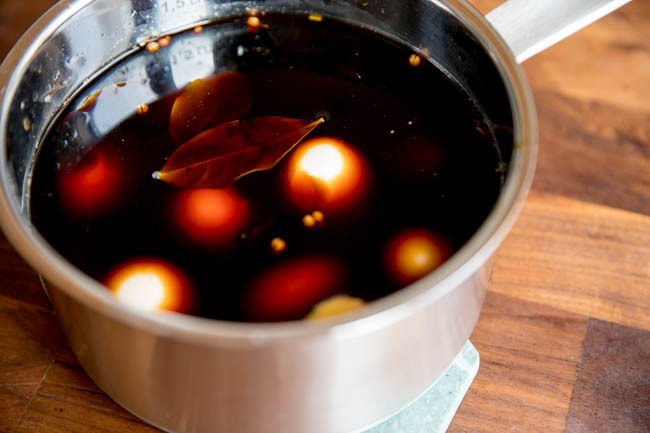 The spices we used to make tea eggs are basically ingredients for the famous Chinese five spice powder, working along with soy sauce, sugar, ginger and tea leaves. Soak the eggs in enough cold water as soon as the cooking time is up to prevent the egg to be over cooked by the remaining heat. Make sure the liquid mixture is completely cooled down (at least under 40 degree C) before putting your eggs in. Clean the eggs and then place in a deep sauce pot. Add enough cold water to cover. Start with medium fire, bring the content to a boiling and then let it stand for 4 to 5 minutes (hard boiled). | for soft boiled eggs, place room temperature eggs gently with a help of strainer in boiling hot water, cook for 6 minutes. Transfer to cold or chilled water to cool down completely and then crack the eggs with a scoop carefully. In another the pot, add all seasoning (bay leaves, star anises, cassia bark, fennel seeds, salt and sugar ). 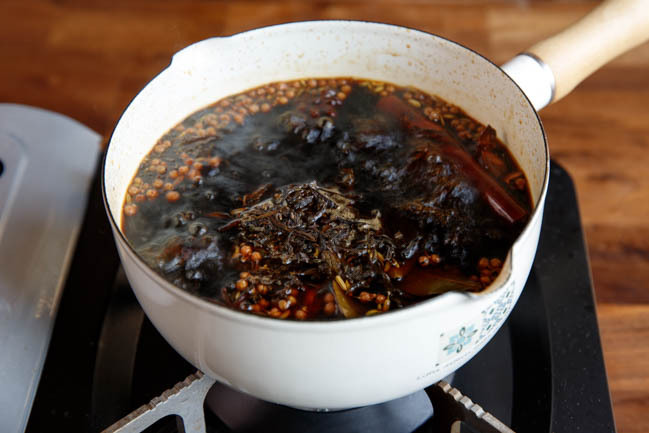 Pour in around 800ml water and bring to a boiling, add tea leaves and simmer for 10 minutes. For hard boiled eggs| pour the liquid to the the pot with cracked eggs. Soak at least overnight or 48 hours recommended with lid covered. 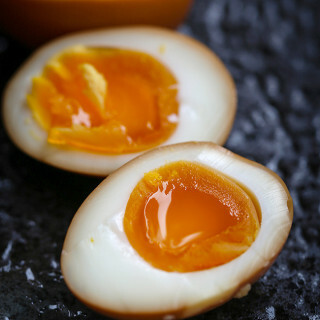 For soft boiled eggs| wait until the liquid becomes room temperature and then pour the liquid to soak the eggs overnight or 48 hours recommended with lid covered. 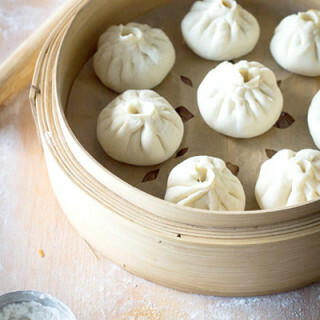 Re-heat if necessary or serve directly with noodles, porridge or other food. Servings: 6 Making 6 tea eggs. Clean the eggs and then place in a deep sauce pot. Add enough cold water to cover. Start with medium fire, bring the content to a boiling and then let it simmer for 4 to 5 minutes (hard boiled based on how soft you want the yolk to be). | for soft boiled eggs, place room temperature eggs gently with a help of strainer in boiling hot water, cook for 6 minutes. Transfer to cold or chilled water to cool down completely and then crack the eggs with a scoop carefully. Transfer to cold or chilled water to cool down completely and then crack the eggs with a scoop carefully. Place the eggs in a pot with a lid. For hard boiled eggs| pour the liquid to the the pot with cracked eggs. Soak overnight with lid covered. For soft boiled eggs| wait until the liquid becomes room temperature and then pour the liquid to soak the eggs overnight with lid covered. The cooking time doest not include the overnight soaking time. Star anise has a stronger flavor than other spices. 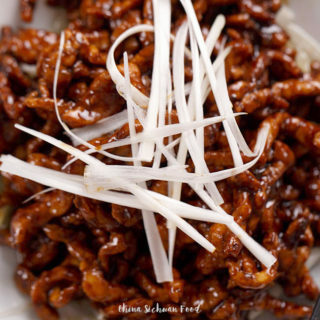 Don't want the taste of star anise out stand too much, use one piece only. These eggs look very interesting and I am sure they taste very good. This really reminds me of the endless options of the amazing street food in Asia. Thanks Nicha. It is a childhood for me too especially in the old days. These are beautiful and I’ve always wanted to make them. Just to clarify – you crack the shells before the eggs are cooked? You must have to do it super carefully – I can imagine a few solid taps = egg everywhere! Thanks for commenting. Yes I crack the shells before cooking. It is not that difficult as image. Just be gentle with a spoon. Of course, you can crack the shells when the eggs are half cooked. 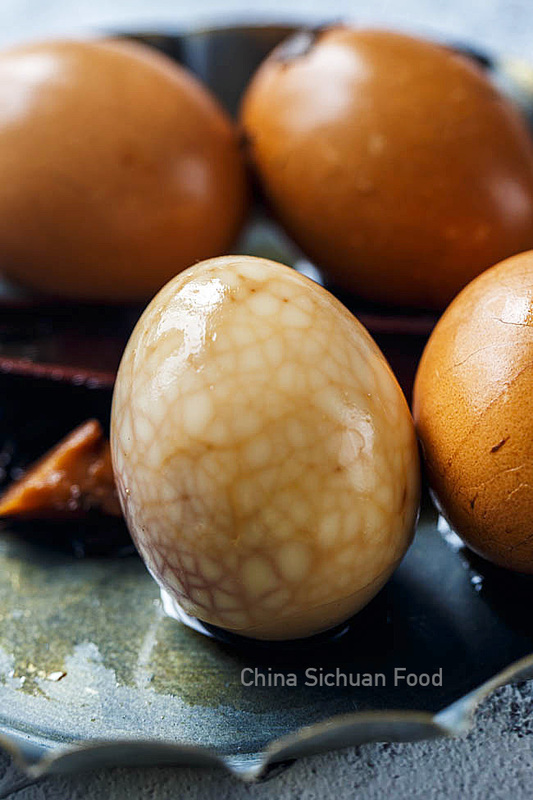 I often include marbled eggs in my lunch box and I will definitely try your version. I like your spice mixture very much. That’s a good idea to use it in lunch box. 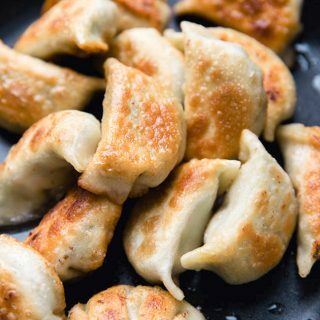 We usually are enjoying them with noodles or breakfast. what a really good website, Elaine! 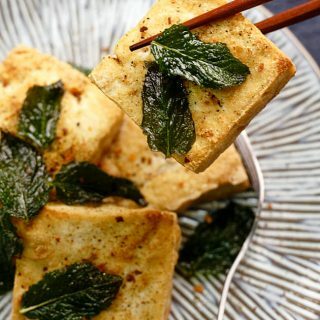 can I request for more vegan food for my parents? William, thanks for the suggestion about vegan foods. 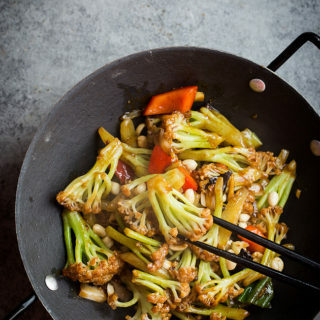 I receive many similar requests and I am trying to provide more vegan and vegetarian dishes. I once made tea eggs with Indian masala chai （硬度香料差）. Black tea with cardamom, clove, anise, ginger, cinnamon, and black pepper: delicious. I believe you are right. Is it Masala tea? I drink that tea too, but never tried to apply it in recipes. I will try it next time when making tea eggs. Thanks. 茶。I can barely see the characters on the screen so it’s hard to tell if I picked the right one. I’m actually making it now so I thought I’d let you know that in the printer version of the recipe you never mention when to add the tea leaves, sugar and soya sauce. I just added it all the same time I added all other spices. I hope the eggs still turn out tasty. 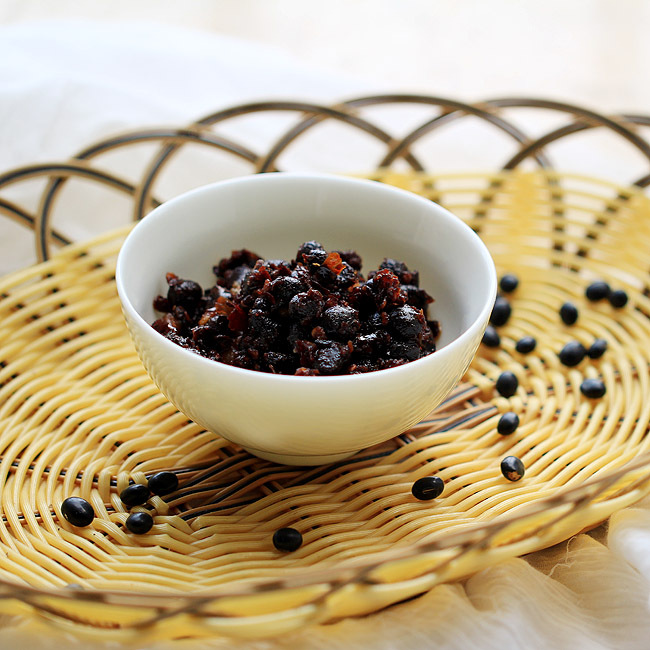 It is ok to add tea leaves with sugar and soy sauce. 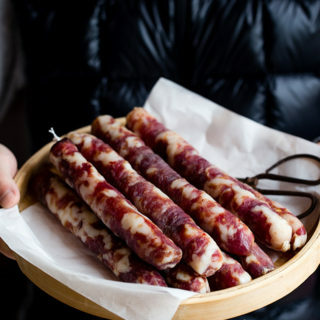 Hi Elaine, I made these last night and let sit in the fridge overnight, perfect with wonderful flavor! I used 3 chicken eggs and about a dozen quail eggs. Had a chicken egg (tea egg) with my noodles this morning, another recipe I used from you 🙂 Thank you. Hi Elaine, can I omit the ginger? What are they for actually? It is 100% ok to skip ginger for this recipe. Ginger is usually used to add aroma and remove the “raw” taste from meats and eggs. Where do I find cassia bark and what does it look like? Six minutes cooking will be a very firm yoke. I put eggs weighing 60 gram into room temperature water with salt. When the water comes to the boil I time three and a half minutes. This gives a soft yoke. Going to 6 minutes will be a firm yolk. I also find the star anise to be overpowering. I use only one piece. Thanks Steve for your feedback. I cook frozen eggs so the time might be slightly different. I like the suggestion about the star anise, already update this as a note to improve the recipe. Thank you! I made my eggs per the directions for the soft boiled. But when I went to taste one, the egg membrane had turned hard and leathery. Because of this, the mixture had not penetrated the inside of the egg. Any idea why this happened? You need to crack the shells more heavily to break the membrane. It happened to me too.